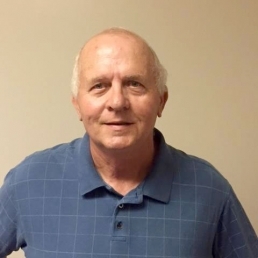 Since Geotechnics’ humble beginnings, Dave Backstrom has been instrumental in the developing testing procedures and ensuring quality of results. The University of Pittsburgh graduate spent time with IT Corporation before joining Geotechnics where the Saluda Dam, First Energy Stabilization and Amchitka Island Projects remain among his favorites. An avid biker and outdoorsman, Dave and his wife, Cheryl, reside in West Newton, PA, and have two grown children. Three items you’ll always find in his refrigerator: milk, butter and dark chocolate.